Whether you’re a professional Twitch streamer or just a casual Skype user chatting with your significant other, webcams help you connect with your audience. Wading through the sea of webcam software and trying to snag the best one can be quite a daunting task, so here is an exhaustive list to help you out. While we hand-picked all of the software in this list, some of their installers bundle additional software that you may not want to use. Please be careful and go through the installation steps carefully by scanning through all checkboxes and decline what you don’t want. All software in this article has been tested with Canon’s CNR-WCAM43G. After you’ve declined the two bundled downloads in the ManyCam installer with a vengeance, you will discover that it is actually a decent webcam program. It offers the possibility of connecting up to 6 different media sources, such as YouTube videos or a video game, and a variety of transitions and effects that can be easily applied to any of them. The interface is a breeze to use, with intuitive controls and bright large icons that can make anyone feel completely in control. The free version adds a ManyCam logo to all videos and pictures, but otherwise produces .jpg and .avi files of commendable quality and can even record video as .gif in 60 FPS. The highest resolution in the free trial is 1024×768. The ManyCam website also accepts payment in bitcoins. YouCam has a sleek black skin and several modes of operation. 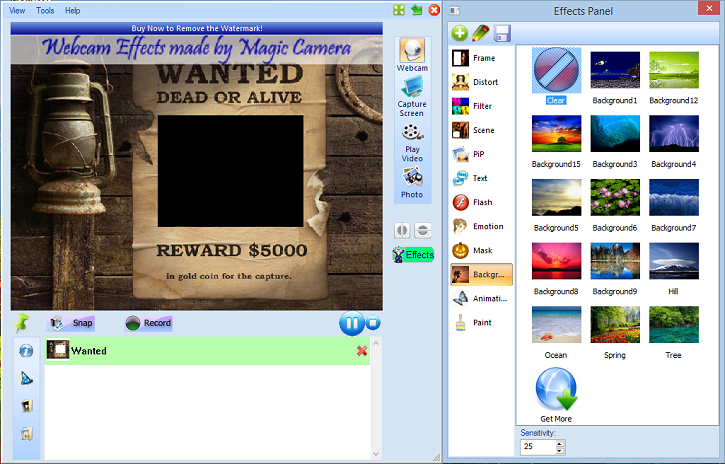 Capture mode is intended for the younger user, with its wide choice of cartoony avatars and effects that can be added to the captured video. For the adults, though, there are a few more interesting options. Face-in and Face out are two complementary options that use your webcam as a face recognition tool for logging in and out from various websites using your face instead of a password. Presentation mode will have the area around the mouse cursor recorded as a .wmv movie, an excellent way of making YouTube tutorials. 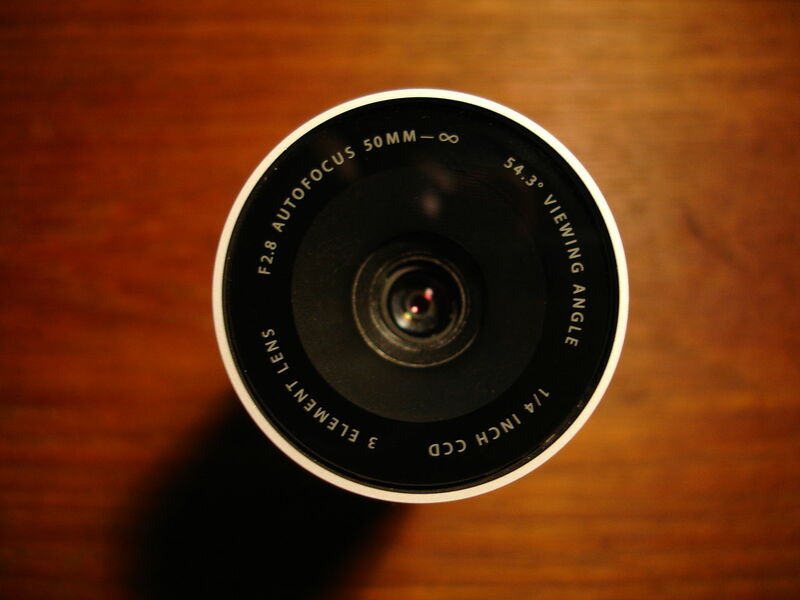 Surveillance mode offers a way to make the webcam record only when movement is detected Overall, YouCam could use more help options and detailed tooltips. Standard edition has only frames and effects, and all additional functionality is in the Deluxe edition. Details: Windows; 30-day trial with limited features, $29.95 for Standard edition, $34.95 for Deluxe edition. 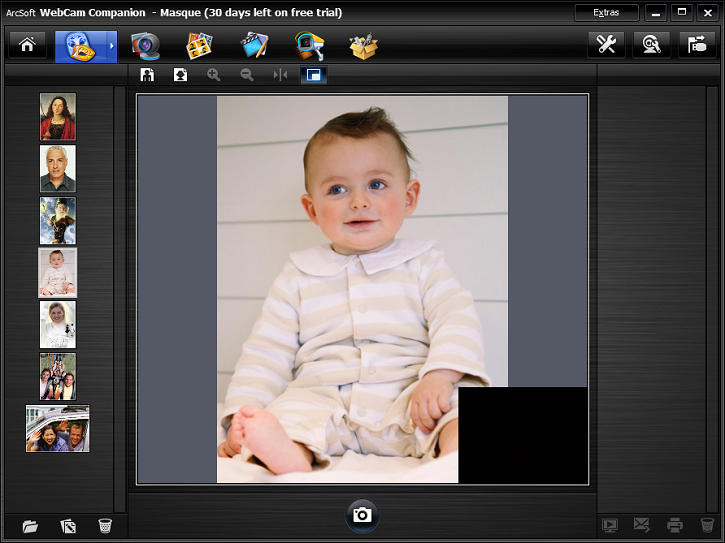 Webcam Companion has five modes available: Capture, Masque, Fun Frame, Edit and Monitor. 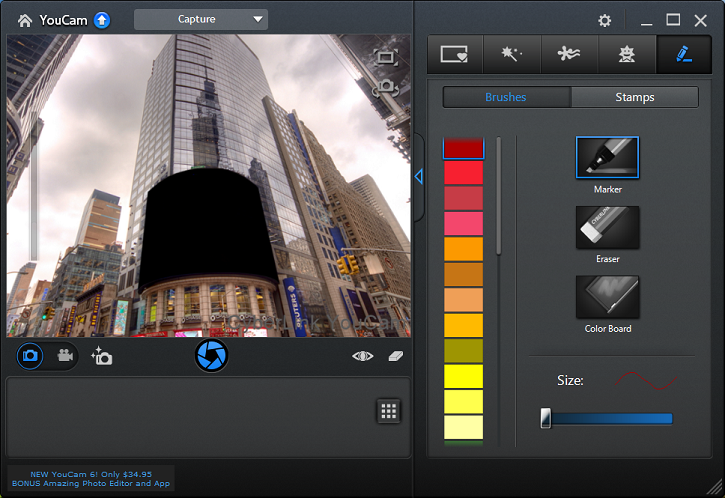 Capture mode supports recording of 2D and 3D videos and burst photo capture as .jpg, .png and .bmp in resolutions ranging from 160×120 to the jaw-dropping 2560×1920, the so-called 4K. Masque mode has several different image templates where you can insert your own portrait. Fun Frame gives you a few random choices of frames, while Edit has the most basic editing tools possible, on the level of Microsoft Paint. Monitor, on the other hand, is extremely useful and can be set to trigger the webcam on motion, face detection or both and includes a motion threshold slider. All recorded videos can be previewed right there in the application, without the need for an external player, which is a plus. Webcam Companion also has dedicated buttons for uploading to Twitter, Flickr and YouTube. 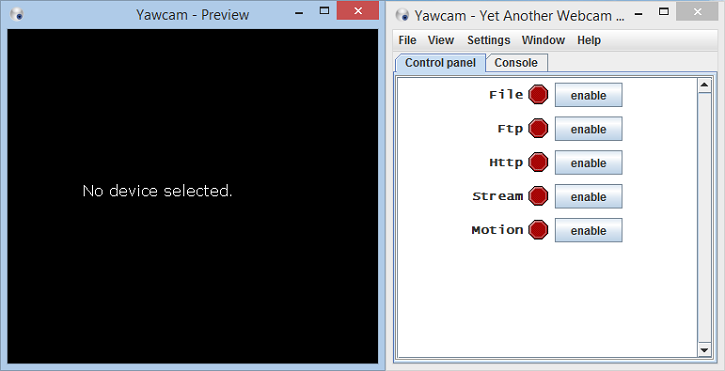 YawCam will make you work for every shred of utility it contains and is definitely not recommended for the fainthearted. If there are any problems, you will have to figure out the cause and solution pretty much on your own. Other than that, it is a solid piece of programming. The author of YawCam offers it for free, but asks that you donate any amount to cancer research. Magic Camera has 12 categories of glitzy, funny and quirky visual effects. This is a program mostly for teenage girls with flamboyant personalities and matching attitudes. Clicking the Capture Screen button will open a new resizable window that defines the capture surface. There is also an option that allows the mouse cursor to be hidden and a field where you can input the desired FPS you want the webcam video to have. Greater FPS consumes more system resources, but gives a smoother viewing experience. It also goes the other way, of course, and helps greatly if the machine isn’t especially powerful. Magic Camera takes itself seriously enough to include tooltips for most of its options and buttons, which is a welcome surprise. Getting a full version doesn’t cost money, but there are some shenanigans involved. Namely, to get an activation key for Magic Camera, you will have to download and install a specific piece of software and the key will displayed after the installation screen. WebCamToy is a Flash-based online tool which will take a snapshot from your camera, apply one funny effect to it and then let you share the resulting picture on Facebook, Twitter, and Tumblr or save it. There are dozens of effects, such as mirroring one side of the picture onto another or the X-ray filter. WebCamToy is an overall fun, bright and colorful webcam experience that will have you coming back for more. GIFPal is an online GIF maker that allows you to create an animated GIF using webcam and/or images. You can add up to 24 images from your webcam or PC for a single GIF, and there are plenty of handy customization features available. 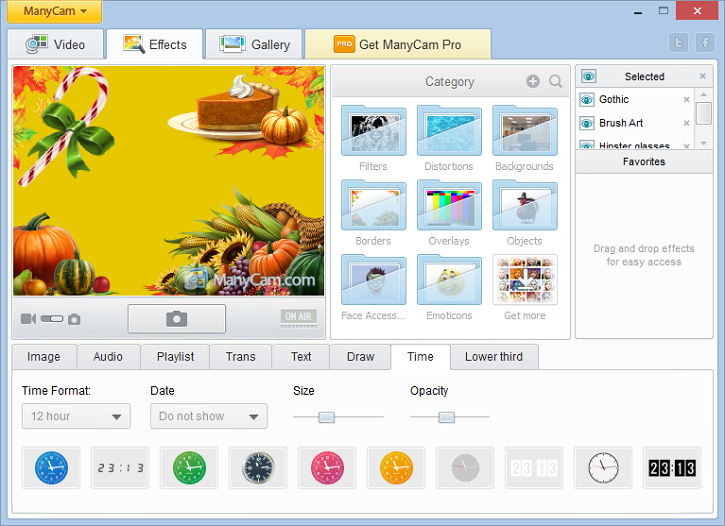 You can add effects, draw and paint images, adjust frames speed and delay, arrange photo sequence, and more. It is a simple, yet awesome webcam GIF creator. Upon launching, NCSoft’s Capture program will automatically estimate what kind of performance your computer is able to deliver and adjust the FPS setting accordingly. Its default mode is screen capture, in which it can record a window, the whole desktop or just a selected part of it. There are 10 available recording formats, plus 5 for iPod, iPhone, PSP and 3rd generation of consoles. Options also allow for applying a custom watermark. 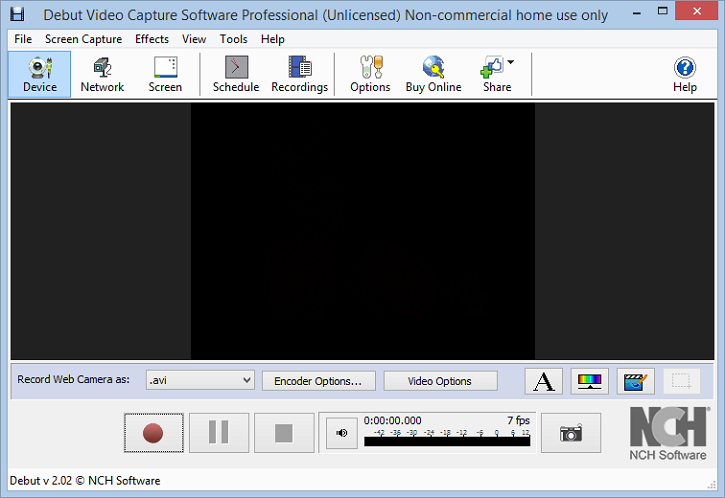 NCSoft’s Capture has the ability to download and install additional plugins, such as video converter and disc burner, at a click of a button. This is the kind of program you proudly recommend to all your friends. It’s extremely useful and loaded to the brim with options. Though it does tend to overdo splash screens and Chrome offers, those are just minor nuisances. 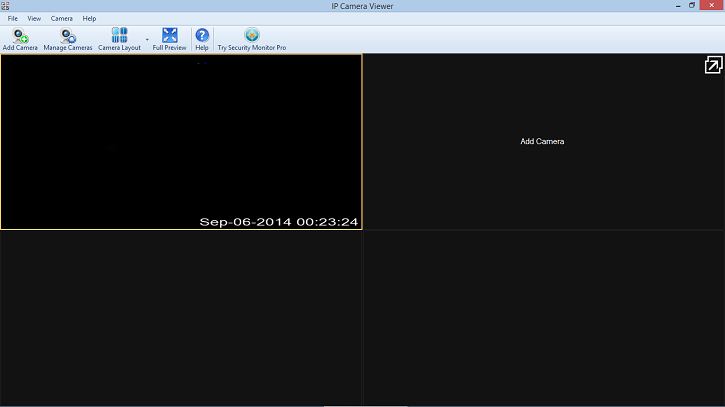 IP Camera Viewer is a fairly simple program for managing local and remote cameras. It can display up to 4 cameras at the same time, with configurable frame rates and resolution up to 1280×960. Each camera can be configured separately, with its own username and password combinations, if needed. However, it does not support any recording. iSpy is a part of a high-end business and corporate solution for surveillance based on open source code. 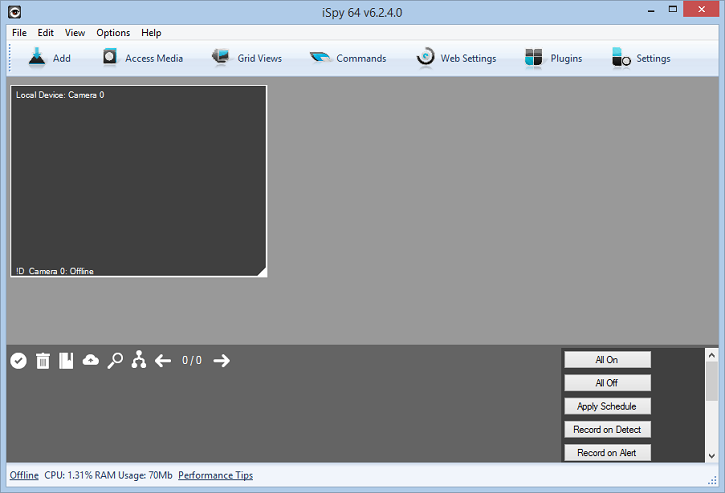 It is a browser-interface tool, used to connect with the iSpy server over the Internet. There is a lot of utility in the iSpy suite, including SMS, Twitter and email alerts when preset conditions trigger the camera, as well as custom scripts and controls for cameras and other security gadgets with your mobile device. This program works by letting you choose a so-called “Hot Spot” on the video feed. The most important parameter for a Hot Spot is its motion threshold. While the gauge can go up to a 100, in reality all values above 90 are excessive and will make the camera trigger randomly, even on a still background. When a certain amount of movement is detected in the Hot Spot, the camera will take a predetermined action, such as taking a picture at certain intervals and uploading them to a website. The standard version supports only one camera at a time, while Pro can handle as many as the hardware can. 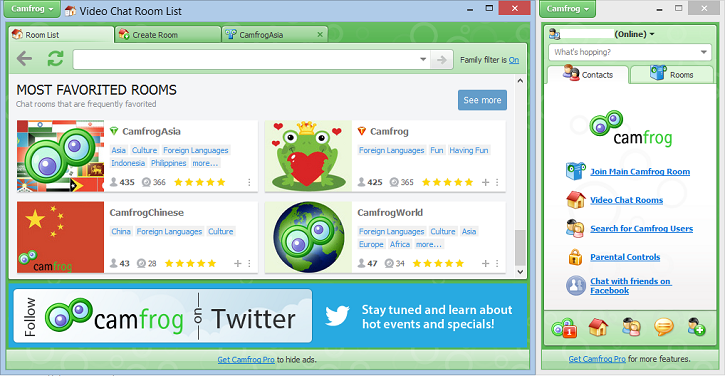 CamFrog is best described as MSN’s younger, cooler brother. Creating a new account is mandatory and will let you join any CamFrog chat room. Primary focus is on video, but textual chat experience in CamFrog is utter chaos – random people talking over the microphone and every user simultaneously trying to have a conversation with everyone else. Kids will love it. One major downside is the number of limitations a free user has. Everything from window size to the number of windows open and some other basic functionality is locked behind a monthly subscription. Pro edition removes all the silly restrictions, with prices being discounted up to 50% if you choose a yearly package. It removes ads from the chat window, allows you to send files to other users and so on. This website can create QR codes or read them. 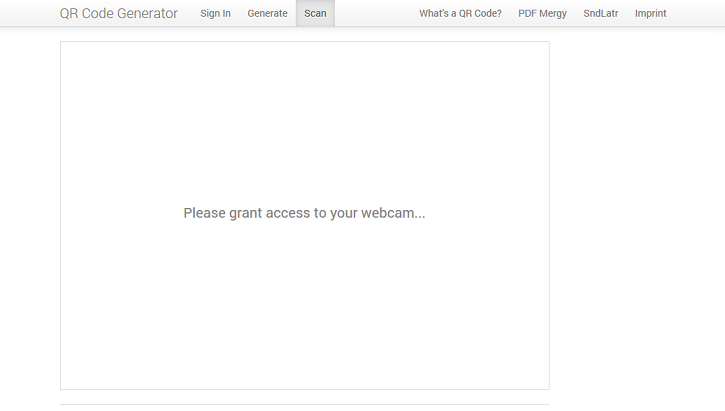 Note that the confidence with which it reads a QR code depends largely on your webcam’s resolution. It is therefore recommended that you use a mobile device since they generally have a camera of higher quality.